Water hauling efforts will continue today to provide Study Butte residents with water. People in the town have been without water for 10 days. The Study-Butte Water Supply Corporation is currently producing less than 50 gallons per minute which is insufficient to provide the system pressure and volume needed for the community. A replacement motor is expected to arrive this week. Once installed, officials expect normal water delivery to resume. All residents are advised to continue water conservation efforts while the system is being repaired. This means water may be used for normal household use while watering lawns, gardens, washing vehicles is prohibited. Additionally, there is a boil water notice still in effect. Since Monday, Terlingua has only had one working well, which pumps about 40 gallons a minute – or, about half of what the town’s average daily use. At that level of supply – says Rob Dean, the director of the Study Butte Water Supply Corporation – the water system is unable to maintain pressure. “As a result, we’ve had to shut water off to our communities,” Dean said. So for the last week the town has relied on bottled water donated and brought in from neighboring communities. Meanwhile, officials have been transporting water to an additional storage tank in hopes of providing some water supply to the town. Depending on their usage, Dean adds, the town could have water tonight for a couple hours. A replacement motor is expected to arrive by next week, and Dean says – if all goes accordingly – the larger well will be operational by the first week in July. Each day, the Terlingua Fire & EMS will be distributing bottled water. There is currently a limit of 6 bottles per person, per household, per day. Distribution times are from 10am – 2pm at the station at 23-250 FM 170. Additionally, Terlingua Ranch has 25 gallons of potable water per week to all property owner households. 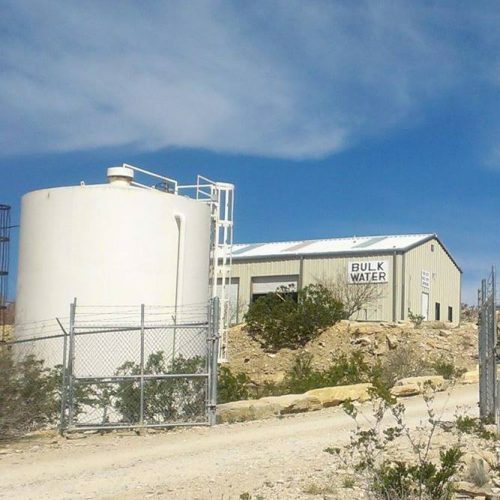 They also have up to 50 gallons of potable water and up to 500 gallons of non-potable water available each day at the Terlingua Ranch office. This entry was posted in KRTS News, KXWT News and tagged Study-Butte Water Supply Corporation, Terlingua, Water shortage. Bookmark the permalink.